Sims 5? No thank you! Here's reasons why I don't want Sims 5 and don't think we'll get it anyway. Whether we need it or not is a bit too subjective. 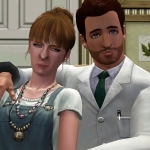 Yeah, yeah, I like Sims 4. Not as it is, but the style, I especially like that. Enough of that. 2: No announcements from EA. Face it, people are always thinking with every press conference there will be an announcement. But there hasn't. Then again, the announcement of a Sims game would overshadow the next FIFA, which is EA's big money. You need to tell yourself, "It'll be announced when it's announced". People were even anticipating it before Cats And Dogs! We're currently at the peak of the era of Microtransactions. EA's even fighting to be allowed to keep lootboxes still in games like FIFA! Sims 5 doesn't need lootboxes, but EA is so adamant on them right now that I wouldn't be at all surprised should they get them if it was released before lootboxes quit. We don't need the idea that they can make us pay 99p to unlock each item, releasing new skins every day. But if it comes out at the wrong time, that's what we'll get. Games cost a lot to make. Expansions are cheap. Why spend all that money on a new game when you can pump out packs infinitely? There's so much missing. Many people call for a University pack, but they seem to fail to realise that the content that came in University can be split up between three or four packs, meaning that you'll get the content, but you won't necesserily get the university world. I'd rather have a pop-stars pack myself. There are potentials for circus packs. Others want Farming. It's hard to know what will go in Game Packs and what will go in Expansions, but either way it's a cow that can be milked indefinitely. The announcement of Sims 5 would risk crippling the sale of packs. People would think "Why buy more packs when they'll be out of date in a few months?" And I wouldn't blame 'em. Others might think "Sims 4 is being cut off early. Why buy Sims 5 when the same thing is bound to happen?" 5: Consoles have just come out. The Console release is fresh in the air. They haven't even finished catching up with packs. Why would they put off console owners when they haven't even caught up? They want console owners to buy all those packs too. Furthermore, console owners would now expect to have their own version of Sims 5. Which would certainly bring in the money if Sims 4 gets a good reception there, but would also take a fair time to convert. And indeed, Sims 4 wasn't designed to share formats with Consoles. Would a Sims 5 be treated that way? EA says it's a 1:1 conversion, and it's close, but that took effort. Would SIms 5 be lower quality, just to fit easier for a console release at the same time? 6: What would they do differently? No, not "What haven't they done yet?" or "What can be fixed?" 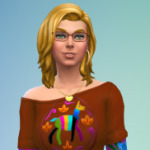 What would happen differently in Sims 5 to Sims 4? A full Open World sure sounds nice, but could your computer handle it? Please, I know it's something you want more than anything, but would your laptop be able to deal with an open world without obscene lag? We have glass roofs and hexagonal roofs and conical roofs. Districts have just been developed as a kind of open-world substitute. We want vehicles but we don't actually need them when everywhere is just a load screen away. Sims 1 was a pretty simple game; it looked good because nothing like it had ever been done before. It wasn't even proper 3D. 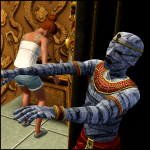 When Sims 2 came out, it was a radical improvement, mostly funded by the success of Sims 1, and the discovery that yes, there was a market for games that had something other than shooting people in the head or running and jumping. 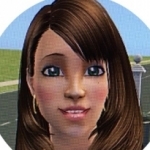 As for Sims 3... well, it ran on an upgraded engine of Sims 2. It was Sims 2, but it took advantage of the success of Sims 2, and of stronger computers to make it bigger. They knew from the start that there was a limit to its engine, and that meant they'd have to make a Sims 4. If you need proof, the number of packs for Sims 3 is roughly the same as Sims 2. THIS is the reason for the four-year gap thus far, And Sims 4 still wasn't completed in that four years. Remember pools and Ghosts weren't completed at release and they only started Toddlers after release and it took a year - but we do have the best toddlers ever. Now, they could have made a Sims 4 exactly like Sims 3 and have a space limit again and people noticing that they might as well be playing Sims 3... or they could put together something very different that could expand indefinitely. Something with the Pixar-style graphics that wouldn't go out of date or enter the Uncanny Valley. Something that could be expanded upon and improved indefinitely and need never come to an end. They can add pack after pack forever, and keep tuning up things like gardening and building and in time, open swimming. Considering EA's track record with developers, I can't see the devs being in a rush to go to them and say "People are tiring of Sims 4 and we're running out of ideas, could you give us the money to make an exciting and radically different Sims 5? It'll be quite expensive and take a few years but-"
"Stand on top of that trapdoor; you'll find your answer at the bottom." I mean the emotions had mixed reactions and some questioned the new 'tactful building tools' but it was when they confirmed that there was going to be no pools, toddlers, CASt and Open World is when things really got bad! As for TS5 we know nothing yet so too early to write it off but who knows, it might just be the best Sims game ever? As for the time being I am still playing TS3, got it loading now in fact. So for me it is, TS4, no thank you! If there’s any life and money to be made in a simulation game, EA will make it. Sims 5 will come in that case. When It does the sims 4 will still be there and those that like it can still play it. EA haven’t announced a sims 5 because they aren’t ready to, when it suits them and they have something to show they will. The sims 4 is not endless, it never has been and it will have an end date. I’m not being funny but the amount of bugs the game has does not bode well for future proofing it’s performance. And while I agree about micro transactions and hate them with every bone in my body, I am sure if they can find a loophole to get them in a new sims game they will. If they catered to fans of the sims 2 and 3 and moved the series forward instead of rolling it backwards I think a sims 5 could potentially do well with the right audience. That being said I have zero faith EA will make that game. Sad but true. It's not about "Can we make money in the future" with EA. It's about "Can we make money right now?" And with Sims 4, they can. With Sims 5, in a couple of years time, there's a risk that this time, people won't want to go through the process of having to buy another 30 packs. That even if they get Sims 5 base, they won't want its DLC. As for Microtransactions, they're still going on, but their golden age is coming to an end as people finally realise how exploitative they are now. If Sims 5 can come out after the age of the Microtransaction, so much the better. But if it's STARTED during the age of the transaction, it'll flop when it does come out. We've heard nothing about a Sims 5 that isn't just fans hyping rumors up, only to be disappointed, which is why I'm not convinced Sims 5 is even in the making besides rich people saying, "Should we make another FIFA, or start work on Sims 5?" EA have said that Sims 4 has another three years in it yet. That's a lot of packs. And Sims 5 won't come out as long as packs are being made for Sims 4. That’s not true, they more than likely will start work on a new title whilst the current game is still in development, they did it with the sims 3 and the sims 4. What we do know is EA are recruiting for a new title, if it’s not the sims 5 then it’s a spin off because from the description and mention of the world realistic in the description that can not mean the sims 4 content. In a few years some people will jump ship and be prepared to pay all over again, history has shown that sims fans do that. They have proved it four times. Not to mention it could be a new audience for people who haven’t played the game before. Once game changers play it, people will flock to it like bees on honey. I don’t trust EA not to cut and run with the sims 4 because history has taught us they are very good at doing that. See Sim City, sims medieval for reference for life simulators, there are more beyond that. The sims 4 will continue while it is profitable but I do think the writing is on the wall for the game. Why that bothers people I don’t know. Let’s say the sims 5 is announced tomorrow, the sims 4 still works and still runs in its current buggy mess state. I don’t care either way, I’m indifferent to a sims 5 game right now, it would have to be one hell of a game to convince me for a fifth time and given the direction of the sims 4 I don’t have faith a sims 5 will be the answer to our prayers. Let’s hope it will, but I’m not too optimistic. If you're indifferent to the Sims 5 and won't buy it... well, that's another reason EA won't rush to make it. In fact a lot of people feel that way. 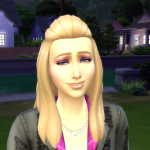 There's a lot of loud people who want Sims 5 but I can't imagine Sims 5 attracting more people to the Sims universe. As you said, I see EA cutting and running with Sims 4. They never did say which Sim City would be the last; they just stopped making them. I like the points you make, specially about it coming out in the "wrong" moment in time. It would suffer from microtransactions like TS4 suffered from the online fever (which ended up not happening but wasted their time and resources). 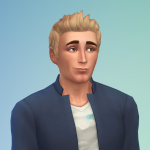 I think the art style of TS4 is really good for a long-term game, it doesn't look dated since it's not "realistic". This game will be active for longer than any of the previous ones. The game is in good health and I would guess we'll have at least two more years before we start hearing stronger rumours and leaks about TS5. I still think it will happen but I don't know what direction they'll take this time. 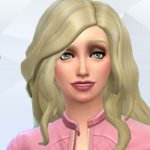 I really hope they don't go back to "realistic" looks (TS3 sims were so ugly! and I hated their hair!) and they keep it single player, of course I also don't want any microtransactions. @MidnightAura Good points I forget how many times in the past where I saw players refuse to move forward only o buy the new game once it was released. Most players held off from TS4 much more than did when moving between 1 and 2 and 2 and 3. If there is a Sims 5 coming, regardless of what it is then a lot of players will drop TS4 like a stone and the devs would certainly do that. “University can be split up into multiple packs” yes, that’s what I want. To spend more money for HALF the content. Can you prove that fact please? That’s nice, coming from someone who just started a topic called “Sims 5 no thank you exclamation mark“? Anyway, only time will tell and I think it will at least take a couple of years before we’ll officially hear. Patience is a virtue. At the moment it is just hint season. Fingers crossed that something would be along sooner than later. I already have my hopes up! I’ll gladly take a Sims 5. When The Sims 4 was originally planned as a weird, online failure of a game, it fragmented the base game entirely — defeating the point of even making a successor. The whole purpose of a base game is to start off on a clean slate that is superior to its predecessor, and has more room for potential down the line. The Sims 4 started off behind the base games of the past with some of the most boring and uninspired core gameplay of any Sims game. Honestly — it plays just like a recycled The Sims 2, missing the immense depth and detail in simulation, gameplay, and objects that TS2 was renowned for. All Sims games come to an end. Happened 3 times before. It’s just part of playing this franchise. And if there’s any Sims game that deserves to be a part of this cycle more, it’s The Sims 4. I’d be far more interested and inclined to buy into this franchise again when they develop a proper successor that starts off as a single player life sim continuing from TS2/TS3, with the best of both, and more. It all comes down to how and what the Sims 5 will be like, which we do not know at all at this moment. Will it have CAST back? Will it have open worlds? Other improvements? We can literally not say anything about The Sims 5 at all. Also people expecting Sims 4 to stick around forever need a reality check. The Sims 5 will come, but not anytime ''soon''. I'd rather have them take the time and above all: LEARN from their mistakes with The Sims 4 instead of rushing it out. People need to chill. The Sims 4 will have at least 3 years worth of content planned, so enjoy the Sims 4 for now instead of worrying about The Sims 5. We will see what The Sims 5 will be when we know more about it in a few years. Until that point we can only dream and hope. I'm sorry don't you think this just wishfully thinking. They make new Sims games, as well work on the current ones. This is not new. Also how that you know sims 5 won't make people of sims 4 go to the a new one? Sims 4 reception has been mixed. If the new game is good.I imagine all sort of players would like it. People love sims 3 , and still sims 4 release. The game won't be released until four years at most . Sims 4 is not going to last forever . Regardsely if they make a new gamr or not . 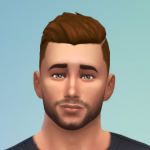 Sims 4 sooner or later is going to end. I think there will be a Sims 5, but hopefully not until in the distant future. It's been said they're gonna be working on content for Sims4 for at least 3 more years. Personally I'm thinking that they can do at least 4 to 5 more years of Sims 4. And you're right the content for this game has the potential to be endless. And there is so much more missing in the game that the fans want to see and have, so I'm sure they're working on it. But I wouldn't write off a Sims 5 just yet. It's too early to tell and I doubt we'll hear anything about it any time soon. But I look forward to see what the next generation of Sims will be. But I'm also content on the one now and keep my fingers crossed and hope that more for this series is to come. 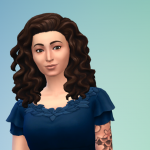 Honestly, I think the main reason EA might move forward to Sims 5 in the years ahead would be to scoop up the next generation of Simmers with something new and exciting. As we've seen with Sims 4, (and even with Sims 3) they're not looking to cater to the people who already play. From a business perspective, those people are already snagged and they can probably count on at least half of the existing customer base following them into the next project out of loyalty, curiosity or excitement. The rest would be an already projected loss as part of the transition. (Total guess at the numbers, it could be two thirds moving forward for all I know.) So they throw all of their marketing power at the new gamers, using whatever information they get from telemetry and statistics and such, to grow their customer base. And now that they have Influencer programs digging into every social medium online, they will know exactly when they need to do it. For now, they have confirmed at least three more years of Sims 4. So that means the numbers are going strong enough to sustain it for a while, maybe even longer than that with the support of the Game Changers. But I would imagine that they will be following those numbers closely in the meantime and keeping whatever future plans they have under wraps until needed. I wouldn't doubt that the early process of putting Sims 5 on the move is in motion. Sims 4 had a very rocky start for whatever reason, whether it was because it was indended to be an online game (which was big at the time it was being created) or just that it wasn't finished, or maybe a little of both, but it was a unique situation that seemed tentative to the future of the franchise. I personally think that EA felt that if they were able to make Sims 4 successful despite the drawbacks, (and it was probably up in the air for a while) then they could feel comfortable moving on to the next jump in the series. And I believe that this is part of the reason Sims 4 is not only going to last longer, (since it was built as a live service and intended to sustain a longer life anyway,) but will also move forward in full force with a lot of new content. It serves to buy the time, and budget, to create Sims 5. And alienating the core players really worked did it? That’s no different than the risks making Sims 2, 3, and 4... and clearly with each iteration bringing EA a lot of $ they have basically no reason to assume people will flat out stop buying their games just because a new version is released. With all the new technology today, you would think they could take the best of sims3 and sims4 and do a game that would blow everything they have done so far, out of the water. Maybe not have a full CAST, but a color wheel, not an open world but divided up into different areas of a larger world like sims3 so we could have bigger worlds, in other words, a hybred of the two. If it were in sections I don't see why we couldn't have larger worlds. 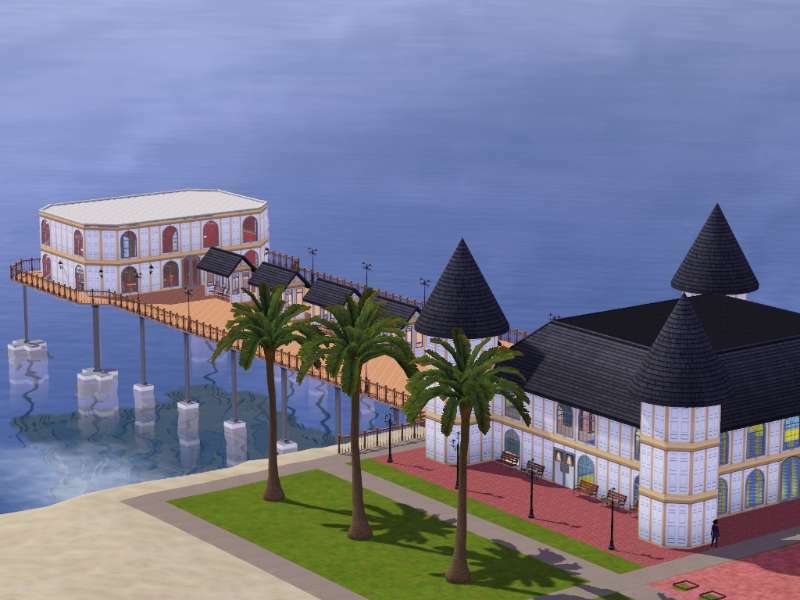 Perhaps we couldn't have everything that was in sims3, but it would be certainly more than we have in sims4. We know Sims 4 has at least 3 years left, which is plenty more time with this game for me. If a Sims 5 immediately follows, I don't mind. What I don't get is the mindset I've seen around the forums that TS5 will be this vast improvement of The Sims series, the devs will listen and add everything everyone asks for, and we'll get a lot more content in packs. Seems like setting oneself up for disappointment, considering we know absolutely nothing about a potential Sims 5. But maybe I'm just hesitant to be optimistic because I've been burned before by EA "listening to the players" and making wanted changes in a sequel. They did a lot of things that players were asking for in Star Wars Battlefront II. By all accounts it sounded like the game everyone wanted. Then they added loot boxes and made characters very difficult to unlock without paying, subsequently creating one of the biggest controversies in gaming, in recent years. So, I guess what I'm trying to say is that I'm mostly worried about what TS5 is going to be like. Not that I think it will have lootboxes per se, but EA is already trying to get as much money as they can from Sims players. Based on their track record, my fear is that it will only get worse with the next game. SimCity 2013 flopped. EA had no reason to keep producing that game. It’s launch was disastrous, and the underlying restrictions on what the game could even do turned long-time players way off. EA then lost out big to Cities Skylines which has a similar aesthetic to SC but more in-depth gameplay/creative tools.